Numerous studies have found that how we eat over time can increase — or decrease — our risk for chronic disease. But one-size-fits-all recommendations based on traditional nutrition research are missing the mark. Nearly 2,500 years ago, the Greek physician Hippocrates famously wrote, “Let food be thy medicine and medicine be thy food.” One notable — and more recent — example of food-as-medicine came in the 1700s with the observation that sailors who ate citrus fruit were able to avoid scurvy, although no one knew why until the 1930s, when scientists discovered vitamin C. (Scurvy is caused by a vitamin C deficiency.) This ushered in an era of discovery about how deficiencies of specific nutrients caused specific diseases. But science evolves, and today we know that foods are not just a collection of isolated nutrients. For example, many individual minerals, vitamins and phytochemicals (nonnutrient plant compounds that may reduce the risk of disease) have demonstrated anti-cancer effects in laboratory studies, yet it appears it’s the synergy of these various parts working together in the overall diet that offers the strongest cancer protection, according to the American Institute for Cancer Research (AICR). 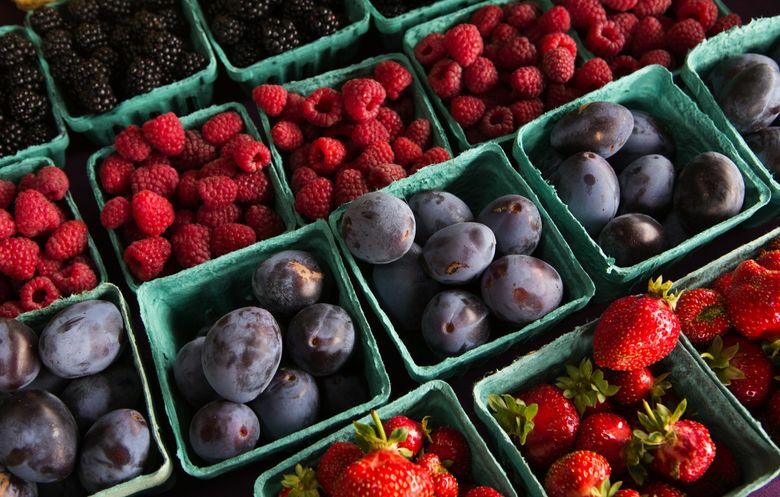 Berries: Blackberries, blueberries, raspberries and strawberries are a rich source of numerous phytochemicals that research suggests have a variety of positive effects on human health. Broccoli: Broccoli and other cruciferous vegetables (cabbage, kale, Brussels sprouts, cauliflower) contain a number of phytochemicals that have been shown to reduce inflammation and oxidative stress, which has benefits for cardiovascular health, healthy blood sugar and cancer prevention. Cinnamon: Even ½ teaspoon a day may help balance blood sugar. Fish: The omega-3 fatty acids in fish have anti-inflammatory properties. The American Heart Association recommends eating at least two 3.5-ounce servings of fatty fish each week to help prevent cardiovascular disease. Fermented Foods: Fermented and cultured foods (yogurt, kefir, sauerkraut, kimchi, tempeh and miso) support digestive function and a healthy immune system. Garlic: According to the AICR, there is probable evidence that garlic and other members of the allium family (onions, leeks, shallots, scallions) reduce the risk of developing common cancers. Ginger and Turmeric. These spice relatives have anti-inflammatory and analgesic (pain-relieving) properties. Ginger can also help ease nausea and vomiting. Green tea. The phytochemical EGCG in green tea has been shown to have some anti-cancer and anti-inflammatory effects, and may have heart health benefits. Shiitake mushrooms. In human studies, shiitakes have demonstrated anti-cancer, immune boosting and cholesterol lowering properties. Nuts. A number of studies have shown nuts to be helpful for cardiovascular function and healthy blood sugar. Numerous studies have found that how we eat over time can increase — or decrease — our risk for chronic disease. So why have public-health nutrition efforts to prevent chronic diseases been relatively unsuccessful? It’s likely because one-size-fits-all recommendations based on traditional nutrition research are missing the mark. It’s clear that not all people respond to diet equally, and modern nutritional science is discovering that we need to consider how our genes interact with our food and physical-activity patterns. Think about it: We all live in the same food environment, but we don’t all gain weight or develop chronic disease. Similarly, we don’t all respond identically to diet or exercise — even though nutrition and regular physical activity is important for everyone. Genetic variation likely explains these inconsistencies. Those fabulous vitamins, minerals and phytochemicals in the food we eat? They don’t just interact with each other, they interact with our genes, in ways both known and unknown. Once the Human Genome Project published the full sequence of the human genome in 2003, the push for personalized medicine and personalized nutrition began. The emerging field of nutrigenomics looks at the connection between our genes, the nutrients in the foods we eat and our health. Someday, this may move us from “you are what you eat” to “how to eat for who you are.” The hope is that nutrigenomics will allow us to do better at preventing and treating diet-related diseases by predicting individual risks, explaining why those risks are present, and allowing tailored eating plans based on your unique genotype, or genetic makeup. For example, there have been scientific advances that can offer more precise advice — say, for who needs to be sure to not overdo caffeine or who needs to make extra, extra sure they get enough vitamin C. Genetic data may be able to determine who would benefit from eating a little more, or a little less, carbohydrate or protein or fat. Right now recommendations for what ratio of these macronutrients to eat is a shot in the dark. Even though genes related to how we burn fat or carbs have been identified, application of that knowledge needs refining. Recent research out of Stanford University found that how people responded to a low-carb or a low-fat diet didn’t necessarily match up to their genotype. This demonstrates that — for now — it’s wise to turn a skeptical eye to anyone who claims to know the one right way to eat. Will science ever achieve the ideal of “perfect” personalized nutrition? That remains to be seen. But even though being able to give specific nutrition recommendations based on our genes is something to look forward to, some recommendations likely won’t change. For example, we know that excessive sugar intake isn’t good for anyone and eating vegetables is good for everyone — and those are two areas where many Americans have room for improvement.